Parents hate to see their child being sick. Children especially infants and toddlers suffering from an illness can be disheartening for parents since they can’t do anything but to provide comfort for their child. Say, pneumonia. Pneumonia is an infection in one or both of the lungs. While it can have other causes why it happens in adults, pneumonia in children can be because of viral or bacterial infections. This disease is very common in kids and it usually occurs during the cold season or after a child has had an upper respiratory infection. Moreover, people with other lung diseases such as asthma, bronchitis, tuberculosis, and COPD are at risk to having this disease. This should be treated immediately to avoid worsening of the condition. Generally, there are different types of pneumonia including – viral and bacterial pneumonia which is more severe in babies than in older kids. 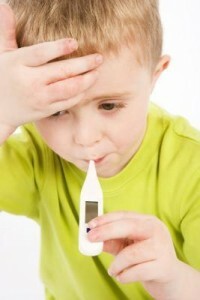 However, both pose symptoms including high fever, chills, coughing, and difficulty, rapid, and labored breathing. A child may also experience nausea, vomiting, and diarrhea. It is necessary that parents should know enough to recognize that their child is already suffering from pneumonia. Knowing this can also help parents on how to prevent pneumonia in kids. Learn how you can protect your precious boys and girls by reading the guide below. Ensure that your children have the vaccine which can be highly effective against conditions like this. Teach your older children to practice good infection techniques such as proper hand washing. Let your kids get plenty of fluids so they won’t be dehydrated. 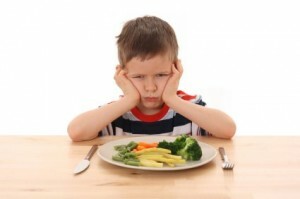 Also, teach your kids to eat a healthy diet which consists of fruits and vegetables. Let them rest a lot and provide comfort. Do not smoke near the children. Moreover, keep them away from exposure to pollutants. Pneumonia is a highly contagious disease, so it is a must to not allow your kids to have close contact with a person known to suffer from the illness. Never allow your child to share drinking and eating utensils with other persons. Regardless of the type, a person suffering from the disease should be brought to the medical facility. The doctor may require your child to be hospitalized and be given antibiotic intravenously such as in babies, or to undergo antibiotic or acetaminophen therapy. Finally, it is important that one should complete the course of the antibiotic therapy to recover quickly from the condition.